Ludhiana city is located in Punjab and it is the home for number of colleges, which span across various subjects and streams. Ludhiana provides higher education in various fields such as engineering, arts, social science, law commerce, medical science, journalism etc. The courses offered by the colleges in Ludhiana are Graduate, Post graduate, Doctoral and Diploma levels. Some of the renowned Colleges of Ludhiana are Bhutta College of Engineering & Technology, College of Agricultural Engineering, Dr Mohan Kaur Memorial Nursing Institute, G.H.G Institute of Law for Women, Gujranwala Guru Nanak Khalsa Collehe of Pharmacy, Guru Nanak College of Law, CMC Ludhiana, Dayanand Medical College & Hospital, Eastend School of Nursing, G.H.G Khalsa College of Pharmacy, Gulzar institute of Engineering & Technology, Guru Nanak Dev Engineering College, Ludhiana College of Engineering & Technology, Nightingale Nursing Institute, Seth Madan Lal Memorial School of Nursing, Sidhu School of Nursing and Sri Gurunanak Dev Homoepathic Medical College. In the field of Medical college Ludhiana occupies a major role some of the well know colleges are Christian Medical College (CMC), Christian Dental College (CDC), Dayanand Medical College (DMC), Apollo Hospitals, and the BJS Institute of Dental Sciences. Ludhiana city is blessed with well know educational institutes. Professors and faculties in the colleges of Ludhiana are well versed and experienced. The Colleges are well equipped with modern facilities such as computers and libraries. Students are also provided with accommodations. Most of the colleges also have active placement cells, which invite renowned companies for campus recruitment. Get connected to different colleges in Ludhiana which is just a click away. StudyguideIndia will provide you the information as required by you. Information which is provided here is correct. If at all you come across any errors you are requested to kindly let us know. 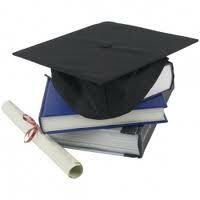 "Following are the list of Colleges in Ludhiana. All Colleges in Ludhiana are divided location wise. We have even listed Colleges in Ludhiana as per alphabetical order making it easy to find the desired college and information on it. If you come across any College in Ludhiana which is not found in our list below, please do let us know by using add in list which is default in our website�.